34 acres row crop, timber & hunting farm that joins the Forked Deer River. Lots of frontage. 18 ac. crop + marketable timber. 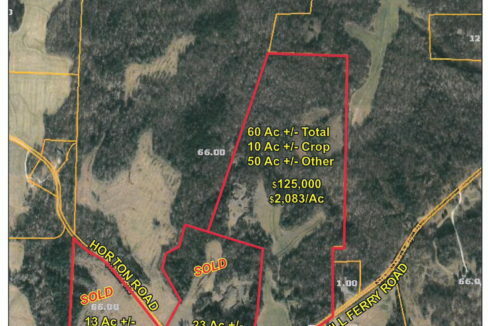 60+/- acres hunting & recreation farm 10 minutes from Jackson with lots of frontage & approximately 10+/- acres crop land. Good row crop, timber & hunting farm with beautiful secluded homesites & lots of road frontage & joins Forked Deer River.